Here comes Iron Man, an action-packed take on the tale of wealthy philanthropist Tony Stark (Robert Downey Jr.), who develops an invulnerable robotic suit to fight the throes of evil. In addition to being filthy rich, billionaire industrialist Tony Stark is also a genius inventor. 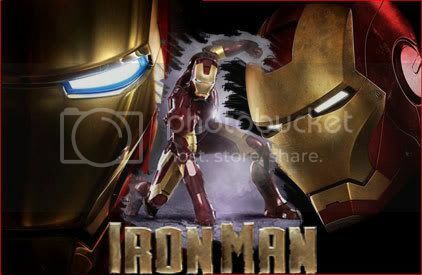 When Stark is kidnapped and forced to build a diabolical weapon, he instead uses his intelligence and ingenuity to construct an indestructible suit of armor and escape his captors. Once free, Stark discovers a deadly conspiracy that could destabilize the entire globe, and dons his powerful new suit on a mission to stop the villains and save the world. Gwyneth Paltrow co-stars as his secretary, Virginia “Pepper” Potts, while Terrence Howard fills the role of Jim “Rhodey” Rhodes, one of Stark’s colleagues, whose military background leads him to help in the formation of the suit. Jon Favreau directs, with Marvel movie veterans Avi Arad and Kevin Feige producing.